The Shear Perfection™ Platinum Series Titanium Trimming Shear comes with a Titanium coated stainless steel straight 2 inch blade. 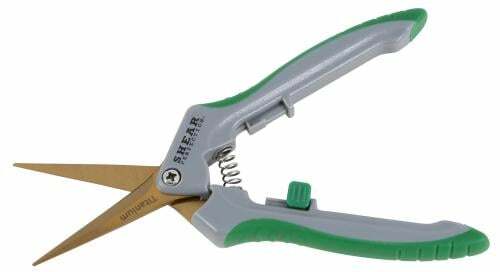 This is a precision shear that gardener’s need for tight and close quarter spaces. 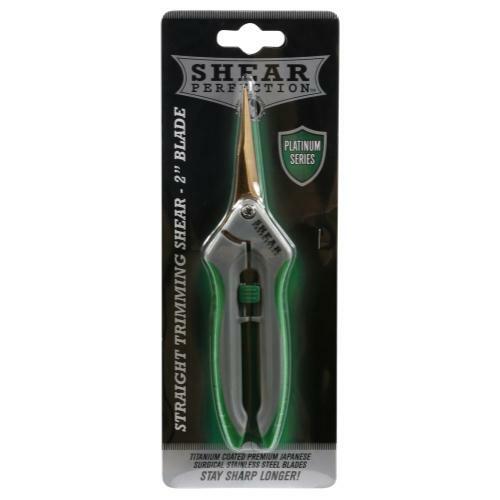 This shear allows users to fine tune their plants precisely and effectively without sacrificing blade size. The stainless steel blade allows for strength, durability and easy cleaning. 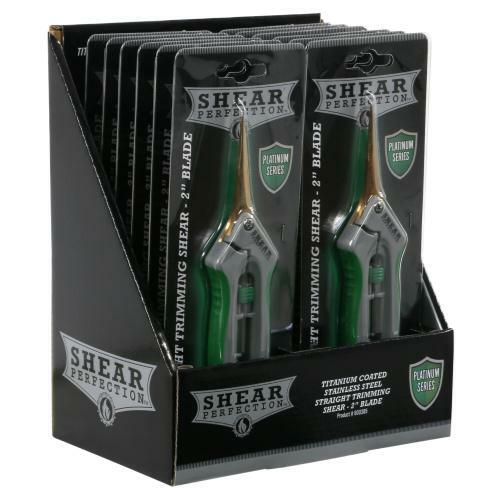 This shear includes an ergonomically designed comfortable grip handle with a spring loaded action for less fatigue. An easy-lock mechanism makes for safe and easy storage. These shears can be used for right or left handed use.